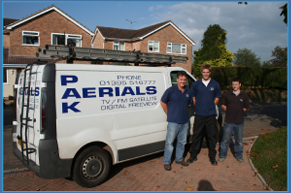 Sidmouth Digital Aerial Installation Specialists Pak Aerials Ltd, have offices in both Exeter and Sidmouth and have been established since 1964 and are 100 percent committed to customer satisfaction. We offer competitive rates and we are a business built on personal recommendation with a reputation which is second to none. We offer a complete digital aerial installation service, and are specialists in the installation and servicing of aerials, satellites, Freeview and digital television.